My offerings this March will mark the end of my Continuum teaching career. Upon much reflection, poignancy and some sadness, I have come to a decision, mainly for health reasons. that it is time. I am hoping to see as many of you as are available and interested in the last two practice groups, on March 4th and 18th and/or in my workshop on Sunday, March 20th (information below). Interesting that I choose the them of “Fresh Start,” before I had made this decision. My private psychotherapy and somatic counselling practice will continue so please contact me for one-on-one sessions. Of course, this does not mean the end of my practicing Continuum which I will do as long as i live and am able. I hope to join with some of you who also love Continuum and practice together – I do so love the field we create together. I also encourage you to form practice groups on your own; I will assist anyone who wants to set that up. In our community, Daphne Georghiou will be offering workshops and classes in Continuum, sometimes combined with her experience in other movement modalities. She will let me know and I will send out messages to you about these events. 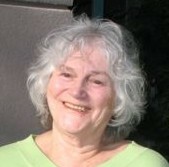 Also, Ingrid Rose (www.ingridrose.com) offers “writing from the body” classes In Vancouver combining Continuum and writing. Every now and then, I may feel inspired to write a blog entry on my web site which my wonderfully talented computer savy son, Doug, set up for me. Emilie used to say, when one door closes, another opens so perhaps I will be inspired to write more homilie type pieces. Or perhaps some other form of expression will replace the inspiration and passion and creativity that my teaching has given me. During this spring time of the year, our biological rhythms are tuned into renewal, as we observe the plants sprouting fresh, new buds from the roots within the soil which have been composting during the dark of winter time. It speaks to he abundance of nature, the inevitability of life renewing itself. It is also in the Christian tradition a time of Resurrection, of the dead coming to life in a new foirm. Within the inner waves of our fluid system, we can tune into this rhythm. Emilie Conrad called this bio intelligence the bio-cosmic orbit, that ongoing constant of form dissolving (sometimes chaotically) in order for new form to emerge. During this workshop, using the tools and processes of Continuum and expressive art therapies, we will observe and explore how we experience this within ourselves, how we enhance and support this process & how we inhibit it. Come and joini Doris Maranda, who has been exploring in these waters for twenty-seven years, supporting, guiding, sharing and honouring the incredible potential of the human body, spirit and soul along with the struggles of realizing this in our lives. No experience necessary just the willingness to explore. To ensure your space, please send a cheque to Doris Maranda @ 115-2033 Triumph St., Vancouver, BC V5L 4X3 or by email transfer.